The World Chess Champions from the late 19th Century onwards walked a road paved for them by earlier predecessors. Since Western Chess emerged in Europe with it's modern rules there have been some brilliant players. They produced some brilliant works in chess literature and played some magical games. Some of these masters lived in the Middle Ages during an era when chess was taking root in Southern Europe's Mediterranean nations. They developed early theory on opening development and mating traps. Later as chess was played in the cafes of every major European city new chess maestros emerged. They built on earlier findings adding material on pawn structure that's still relevant today. The combinations became ever more dashing and artful as more and more chess minds showed how to combine the pieces together in attack. Eventually the world's greatest were finally given official status as a World Championship was formed. No longer would there be World Champions in all but name. Now the gladiators of chess had something real and tangible to fight for. If you like, you can talk about any World Champ. Chess began to make it's presence felt in Europe five centuries ago. Ruy Lopez, Greco and Polerio were the early leading lights. Some of their games are recorded and we can play through them today. Later Stamma, Legall and the mighty Philidor picked up the mantle. Their new innovations brought chess theory to new levels. We are taken aback by some of the games played by their successors, La Bourdonnais and McDonnell. Some of these games were played with near computer accuracy almost two centuries ago. It can leave you in awe when you consider the material they had to train with compared to what is available today. After them came Staunton, Blackburne, Morphy, Anderssen, Zukertort and Steinitz among others. All of these jostled for the notional honor of being considered World Champion. Eventually Steinitz worked on the formation of an official title. From then, the greatest player of the day would be officially recognized as a World Champion. Steinitz was the first player to win the title in 1886. Steinitz held the title for eight years. Emanuel Lasker took it from him in 1894 in a classic Changing of the Guard scenario. The young pretender on the make slaying the old lion. Lasker would dominate World Chess for a similar length of time. Steinitz had been top dog for 28 years since overthrowing Anderssen in 1866. It would be 27 years before Lasker would meet his match. History repeated itself with the old champion falling in Havana, Cuba in 1921 to a man 20 years his junior. That man was local favorite Jose Raul Capablanca. Capablanca lost the title six years later to the Russian Alexander Alekhine. Alekhine held the title until his death in 1946. FIDE then took over as the governing body responsible for organizing the World Championship. Mikhail Botvinnik was the first player to win the World Championship under the auspices of FIDE. As there was no reigning champion, the world's top five players competed for the title in a league format. Botvinnik finished ahead of Euwe, Smyslov, Keres and Reshevsky. His hold on World Chess would last for 15 years with brief interruptions from Smyslov and Tal. Eventually Tigran Petrosian ended his dominance. Then it was Boris Spassky's turn followed by Bobby Fischer. When Fischer vacated the title in controversial circumstances, Anatoly Karpov began his decade long stint at the helm. Garry Kasparov dethroned him in 1985 and remained champion until he broke away from FIDE in the early nineties following a dispute. Karpov was reinstated as the FIDE champion while Kasparov set up a rival body and declared himself the Classical World Champion. In 1993 Garry Kasparov broke away from FIDE accusing the organization of corruption and a lack of professionalism. Along with Nigel Short he set up a rival body, the PCA (Professional Chess Association). Kasparov beat Short to become the first PCA champion. In response FIDE stripped Kasparov of the FIDE title, organizing a decider between the former champion Anatoly Karpov and Jan Timman. Karpov won the match to take the FIDE title. When the PCA went bust Kasparov set up the World Chess Council. The holder of this title would be known as the Classical World Chess Champion. In 2000, Vladimir Kramnik took this title from Kasparov beating him 2-0 with 13 draws. The FIDE World Champions between 1993 and 2006 were Anatoly Karpov (1993-99), Alexander Khalifman (1999-2000), Vishy Anand (2000-02), Ruslan Ponomariov (2002-04), Rustam Kasimdzhanov (2004-05), Veselin Topalov (2005-06). The 'Prague Agreement' was made in May 2002 to reunify the titles. On the Classical side Kramnik drew with Leko in 2004 to qualify as still Classical Champion. 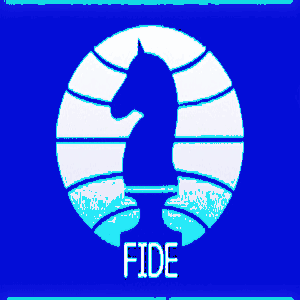 FIDE organized tournaments every couple of years for it's title. A FIDE World Chess Championship reunification match was finally agreed for 2006 between Classical Champion Vladimir Kramnik and the new FIDE champion, Veselin Topalov. Kramnik won to claim the title. He then lost it to Anand who holds it to this day. What did the World Champions Leave Us to Remember Them By? Every World Champion had something special. You don't climb to the top of the mountain without some special qualities that set you apart from all the rest. Some of them were pioneers of positional science. Others had an uncanny gift for sniffing out tactical possibilities. Most had abilities in both departments. Every one of them had his own signature style. Which champion inspires you more than any other? Whose games blow you away with the magic contained within? Do you have a great story about one of these great chess champions? Would you like to discuss one of their memorable games? If you would like to post articles or annotated games on any past or present World Chess Champion, the floor is yours! Your story will appear on a Web page exactly the way you enter it here. You can wrap a word in square brackets to make it appear bold. For example [my article or game] would show as my article or game on the Web page containing your article or game. It get's complicated keeping track of all these World Champions. What with Unofficial Champions, pre-FIDE champs, FIDE champs, Classical champs, Reunified champs with everyone back under the FIDE banner. Meh. There are more champions in recent years with more players around possessed of a very high standard of play. Couple that with the fact that champions are now compelled to defend far more frequently than in previous times. No more stalling and reneging for years on end like in olden times. Some of these World Champions and indeed other prominent players had plenty to say for themselves. Many were quite eccentric characters, coming up with great sayings. I am throwing a fair amount of these together in a collection I'm calling Chess Quotes. This link takes you from World Chess Champions back to your Homepage. Your Homepage is where you get a site overview. There you can see all of the resources on offer in this web site.